Like last year, Unk’s Christmas this year is tinged with a little melancholy, muchachos. In 2011 it was the loss of me and Miss Dorothy's dear friend and club President, George Byron. 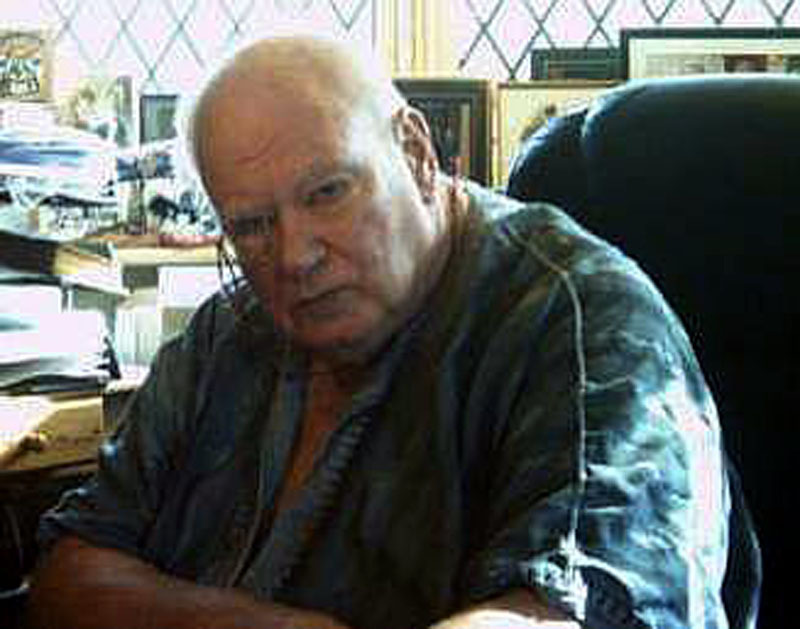 This year it is the passing of a giant, Sir Patrick Moore, the world’s greatest non-professional astronomer. As I said on Facebook when the sad news came in, if not for Patrick, there might not have been an amateur astronomy for me. I never had the opportunity to meet the man, but it’s not exaggeration to say he was my mentor, and, yes, my friend. 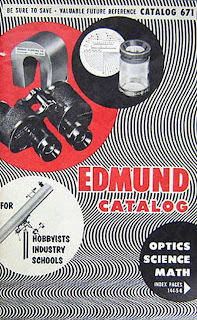 I know the year I encountered my first Patrick Moore Book, 1963. The month? I am pretty sure it was December—it must have been. If one thing has made for memorable Christmases throughout my life, it’s been astronomy. From a new astronomy book or an eyepiece under the tree to my traditional December 24th look at M42, Christmas has always been spelled a-m-a-t-e-u-r a-s-t-r-o-n-o-m-y for Unk. Set the controls of the WABAC Machine to just-before-Christmas 1963, where Li’l Unk is inventorying the shelves of the Kate Shepard Elementary School Library. It wasn’t huge, but it did have the space of one large classroom and a good selection of books up to the Grade Six level and even beyond. We little folks had been marched to the library to turn-in our books before the Christmas holiday, but Unk wanted some reading material to cover the two whole weeks of Christmas vacation. Luckily, the fix was in: Mama. By 1963, Mama was working as Kate Shepard’s librarian. Normally, given her staunchly upright Methodist nature, she wasn’t one to indulge in favoritism, but she could occasionally be persuaded to let li’l ol’ me choose a book or two to take home off the record. I suspect that was purely self-defense on her part that December, a way of keeping me under control on those stressful days leading up to The Big Day if'n the weather wouldn’t permit her to shoo me outside to play. Freezing weather wasn’t usually a problem and snow was a miraculous occurrence, but moderate cold with heavy rain all day was commonplace on those long ago Decembers and still is. The pressure was on. What to choose? I had read every Tom Swift and Hardy Boys, so they were out. Yes, Mama had those series on the shelves, though she sometimes threatened to send the boy detectives and the boy scientist packing. I had just finished Heinlein’s wonderful Rocket Ship Galileo and was on the lookout for more SF, but there wasn’t any more “adult” (relatively speaking) science fiction to be found. I always liked the little blue-covered biographies Mama stocked, but I’d read just about every one of them except for Florence Nightingale and Marie Curie and a few others li’l Unk had foolishly dismissed as GIRL STUFF. Over to the nonfiction stacks. There were a few How and Why Wonderbooks, which I favored, but they were thin, one wouldn’t last all vacation, and Rocks and Minerals (Mama did not have Stars or Rockets and Missiles or The Moon, alas) didn’t sound too cotton-picking interesting. Then I found it. Dang near fifty years later, I still remember the book I picked off the shelf that afternoon. 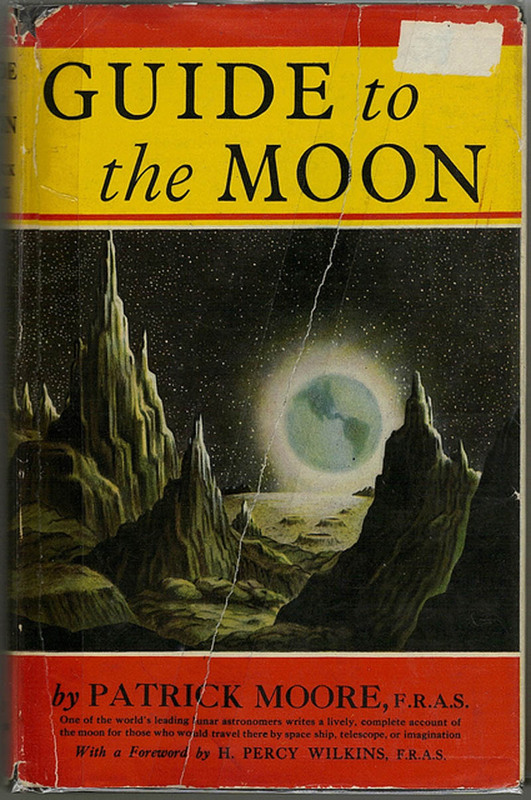 Guide to the Moon by some guy named Patrick Moore. In retrospect, I’m surprised Mama had this one, since she would probably have considered it way too “hard” even for sixth graders. I leafed through it. Mostly words and only a few cool pictures like the one on the dust jacket, but I had wanted something that would last me a while, and I’d been fascinated by the Moon since I’d seen an episode of CBS’ Men into Space where our hero, Colonel McCauley, and his intrepid crew landed their ship among razor sharp Bonestell-style mountains and craters. Mama asked what I’d chosen, and I hesitantly showed her Mr. Moore’s book. She wondered if Fourth Grader me might be better off with something a little easier, but I said “no,” that I was happy with what I had. Mama sighed resignedly and said she hoped I knew better than to come crying to her later if the book was too much for me. Back home, li’l Unk was confused at first. Mr. Moore seemed to be implying you could see all these mountains, craters, and seas for yourself. With a telescope. 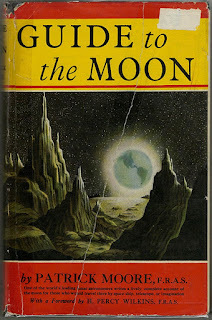 I had just naturally assumed the book would be a tour of the Moon based on what scientists with their enormous telescopes had found out about it. Nope, by the end of the book it was obvious he’d seen the Moon's wonders for himself, and not from a giant observatory like Mount Palomar, either. This was a small epiphany, but it was an epiphany and it was the spark that set me on the road to wonder—to be swept away like an unwary hobbit. I showed the book to Daddy, a.k.a. “The Chief Op” around our house, wondering to him if somehow, someway I might be able to get a telescope and look at those craters like Patrick Moore did. Daddy allowed as how telescopes were, as far as he knew, expensive things well beyond the reach of mere commoners such as us. Seeing li’l Unk’s downcast expression, he added that it might be possible for us to build one instead of buy one. He didn’t know a darn thing about how to do that, but a guy at The Studio (the TV station where he worked as an engineer) was building a gigantic scope. 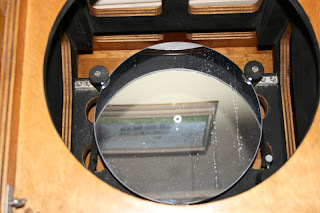 Before The Old Man got around to asking his buddy about telescope making, my Cub Scout Pack’s trip to Springhill College’s giant observatory and Stephanie’s Telescope intervened, and that was a good thing. By the time a first scope came my way I was all primed and ready—was I ever. Another Christmas had come and gone before Daddy finally talked telescopes with his pal. He probably never would have, dismissing my astronomy infatuation as merely another of li’l Rod’s many short-lived enthusiasms, but the Rodster began to bug him and Mama day and night about A.C. Gilbert scopes like the one Stephanie had. This 6-inch f/12 giant was, no denying it, a monstrosity with its huge and heavy stovepipe tube, its single homemade eyepiece (the elements were held in the barrel by leftover pitch), and an alt-azimuth mount—if you could call it that—made from a discarded studio mic stand. 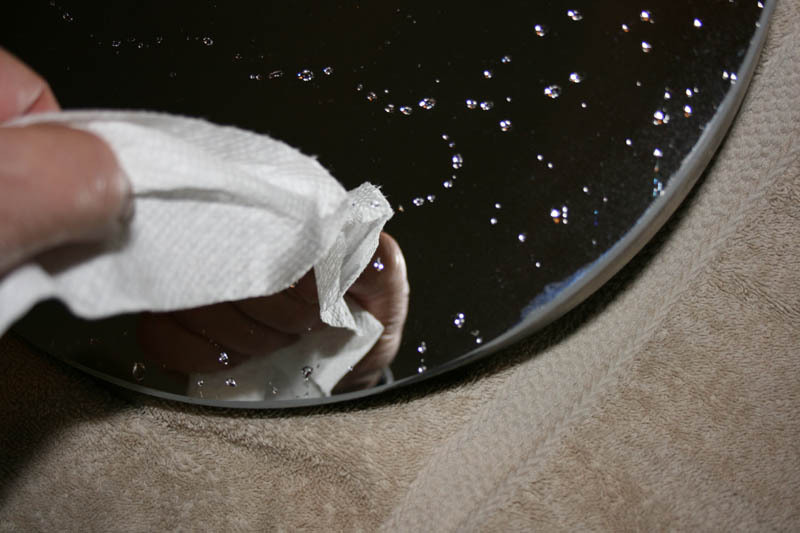 The silvered mirror could have stood a recoating, but it worked. By god, did it ever work. 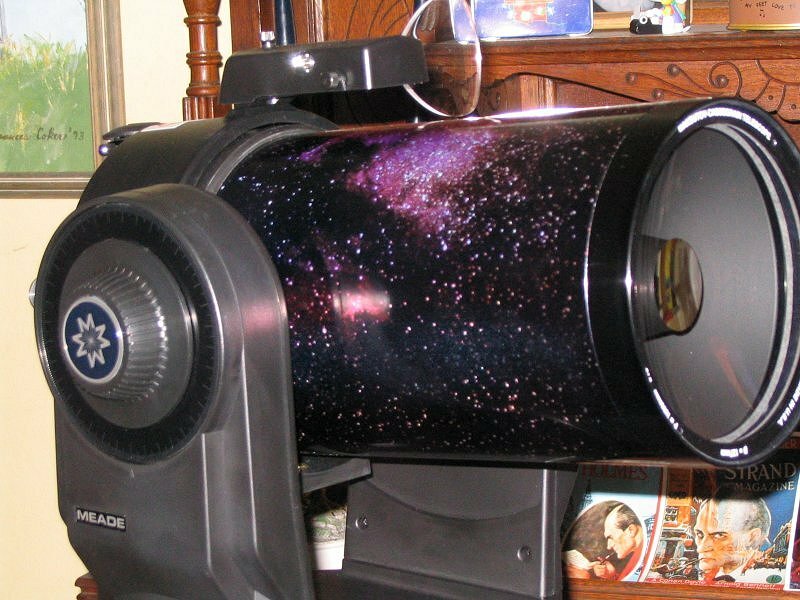 If this telescope had not appeared, it is possible my desire for the sky would have cooled, but being able to see at least a little of the stuff Patrick Moore told me about kept me going. It wasn’t much of a telescope, no, but coupled with Patrick’s Guide, which I’d begged Mama into letting me have on extended loan, I was finally able to see some of the same mysterious lunar features Patrick had seen. My head says otherwise, but my heart tells me this ragged 6-incher was the best telescope I have ever had. I soon went on to a 3-inch Tasco reflector, my Pal Junior, 6-inchers I made myself, and onward and upward (mostly) for nearly 50 years now. In the early days Patrick was constantly at my side, at the eyepiece with me, but I lost touch with him in the 1980s. Oh, I’d replaced my 1960s copy of his signature book, The Amateur Astronomer, with a newer edition, but I didn’t look at it much. I was infatuated with Burnham’s Celestial Handbook and Deep Sky Magazine and associated Patrick Moore and his books with my childhood novice days and the dumb old Moon. I did have to admit that there was still a lot of good information and advice in The Amateur Astronomer. Yes, Patrick still harped-on in his old-timey way about the depredations of pillar and claw telescopes (whatever those ancient things were) and the perils of observing the Sun, but most of what was in the book was as useful for anybody, including thirty-something Unk, as it ever had been. I think one of the main reasons I drifted away from Patrick Moore was that I was never able to see the TV show that became his life’s mission. The BBC never marketed The Sky at Night in the U.S. of A. as far as I know. Maybe because they thought Jack Horkheimer had the tiny astronomy market sewn up with his Star Hustler series. As I have said before, I was very fond of Star Hustler and Jack Horkheimer, but he was no Patrick Moore. Who is? Then, one afternoon seven years ago, Unk was browsing the shelves of the local Barnes and Noble bookstore when he ran across Sky at Night Magazine. What the—? It appeared to be at least OK, sort of a spiffed up Astronomy Now, but what persuaded me to carry it to the checkout was that not only was there a column by Patrick in the magazine—they were not just playing off his name—there was, in typical UK magazine fashion, an included CD with the current edition of his TV show and a couple of classic episodes on the disk. Looking at those shows brought home both what an incredible asset (by now Sir) Patrick Moore was for amateur astronomy and what a fascinating character he was. I cursed the TV executives who had prevented me from seeing The Sky at Night when it would have helped me most. Hell, even today the BBC blocks us Americans from watching the program on their web site (though I believe you can view episodes on Youtube now). Thank goodness the magazine has allowed us to keep up these past seven years. 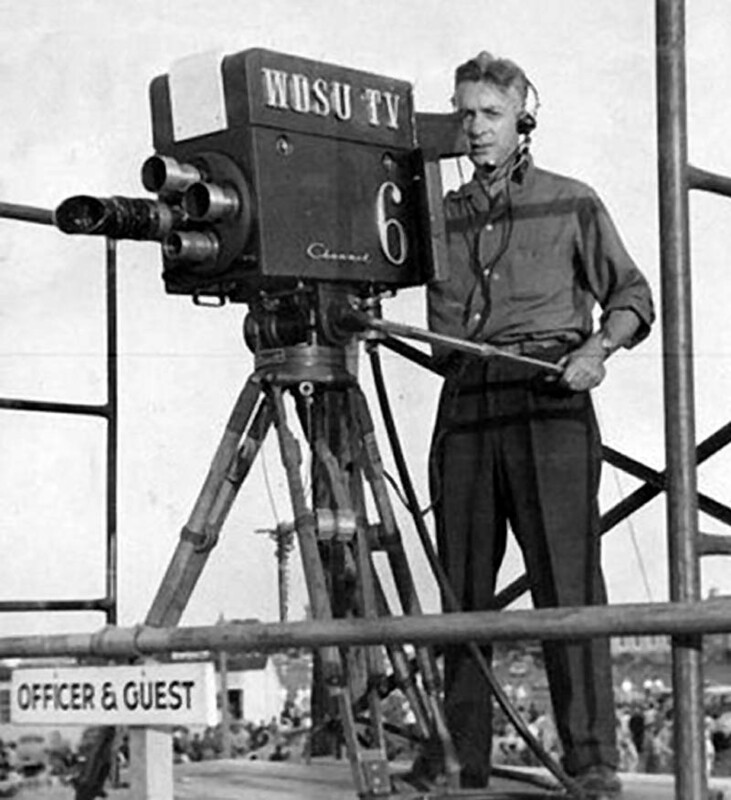 The Sky at Night began in 1957 and will continue at least till January of 2013, when the last episode Patrick hosted will air. While the BBC has reportedly not made up their minds whether to continue TSAN after the last Moore episode, I understand it was Patrick’s desire that the show go on after him. There is no doubt many of us would like to see it continue. Like plenty of y’all, I believe Queen guitarist (and astronomy PhD) Brian May, who has purchased Patrick’s house in Selsey, I’m told, would be the perfect choice to continue The Sky at Night. I believe May, ably assisted by Patrick’s co-host, Chris Lintott, can carry on in the grand Moore tradition. While the television program was Patrick Moore’s life’s work along with his books, he lived a long and interesting and full life outside those two monumental endeavors. He was a bombardier - navigator in the RAF in WWII. He got to hang out with Arthur C. Clarke and the other legendary members of The British Interplanetary Society. He received a knighthood; he even established a name for himself as a xylophone player. Like all of us, he was human and not without faults, but on balance the scorecard is way in his favor. I mourn, but not for Patrick. I mourn for us. He has gone to his rest; it is we the living who are bereft. Over and above the loss of Sir Patrick as a still valued and valuable member of our community, one of the last tangible links to my childhood is gone and I cannot help but be blue. Still, I will try to be cheerful this Christmas Eve and raise a toast to one of the best and wisest men I have ever known. No, I didn’t really know Patrick Moore, but, like thousands of other starry eyed kids, I felt and still feel like I did. That is the wonder of the thing. 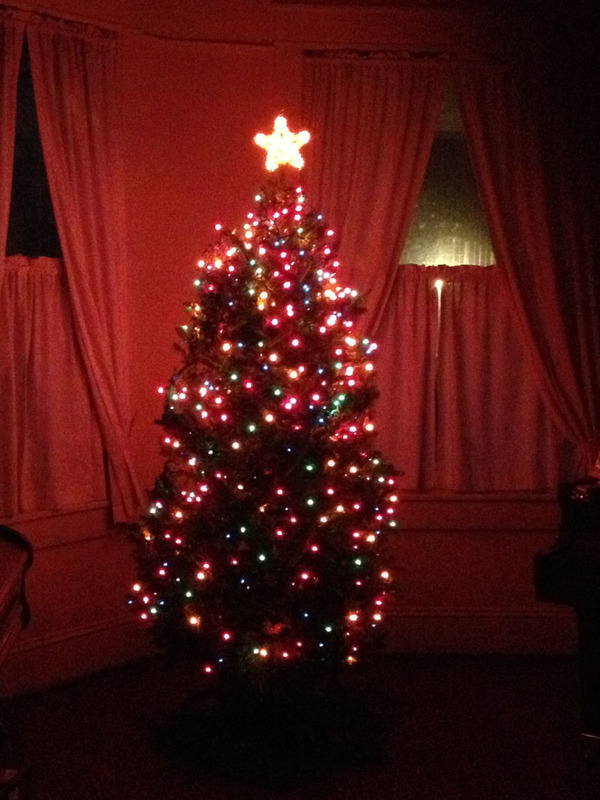 It's yet another quiet Christmas Eve 'round the Old Manse. Miss D. and I had a wonderful Christmas with our two young grandsons—there is really nothing better than being able to buy toys at Toys 'r Us again—a few days previous, but they are now off on a Christmas trip. In truth it would have been too quiet a Christmas Eve if Unk's wonderful daughter, Lizbeth, hadn't made it in from Denver. But she did and it's been great. 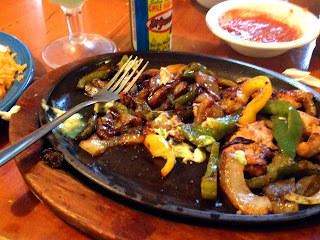 Our Christmas Eve lunch, a particularly jolly repast, was at Unk's fave Tex Mex joint, Las Cazuelas, where I treated myself to a large portion of fajitas with all the fixings I could hold: guacamole, sour cream, salsa, refried beans, rice, El Yucatano hot sauce, and margaritas. After that it was a little preparatory gift opening when Unk's brother, Danny, stopped by. 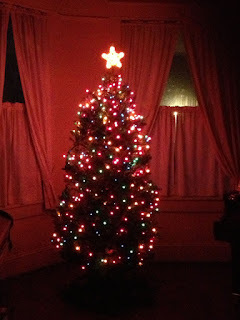 All that remained were my two long running traditions: viewing M42 and viewing A Charlie Brown Christmas. Charlie Brown, which I never tire of, was as good as ever. M42? Missed it by that much. I wasn't surprised. Severe weather, possibly including dadgum tornadoes, is, alas, being predicted for Christmas Day. My hopes were raised by a clearing at sundown, and If I'd had just another hour of it I would have seen that greatest of all ornaments, but no cigar this time. I can't complain, though, coming off a couple of good Christmas Eves. As good old Chuck Brown would say, "NEXT YEAR FOR SURE!" Christmas Eve ain't the last day of the year, but lately it seems to put a philosophical coda on my year far more than New Year's Eve does. Maybe I'm just getting too old to get out and party like it's 1999 on December 31 anymore. Be that as it may, it was another memorable year in the greatest avocation in the world with the greatest people in the world, amateur astronomers. That is you, muchachos. Have a great Christmas or whatever else you celebrate at this numinous time of year, and may visions of Unitrons dance in your heads. Did Uncle Rod dare? 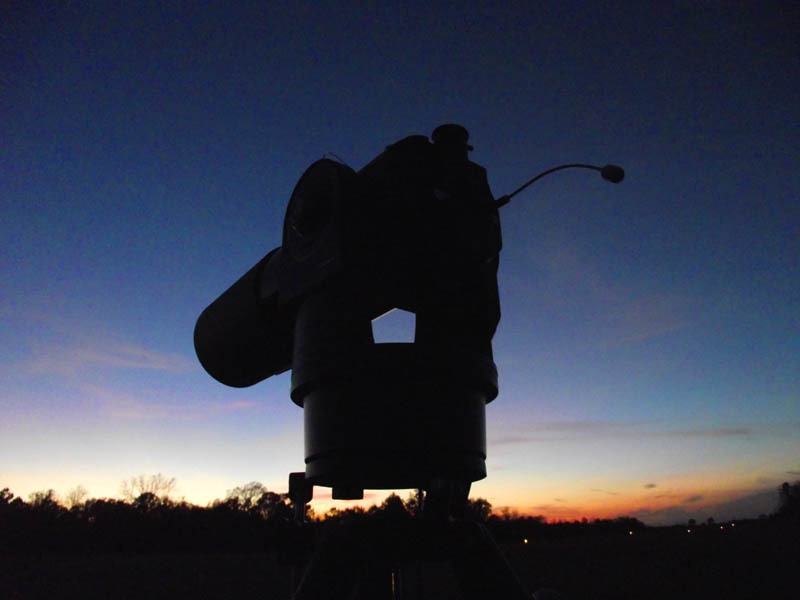 Dare to drag his ETX 125PE, Charity Hope Valentine, out to the Possum Swamp Astronomical Society observing field for the scope’s second dark of the Moon run in a row? My neurotic little Maksutov behaved herself well the last time, but maybe “twice” was asking too much from a scope that’s always been slightly fussy. On the other hand, muchachos, sure did look like a Sweet Charity night. We’d been having a heat wave down here with night time temps no lower than the mid-upper 60s, high humidity, and plenty of clouds to go with that. OK. What could happen? Charity could throw a gear or have an electronic melt-down, but she’s never gone that far—not yet. Even if she did, it did not look to be an overly promising evening, anyway, though the sky was remarkably clear at sundown. And Unk was still recovering from a near overdose of star partying down at the Deep South Regional Star Gaze a few weeks previous. 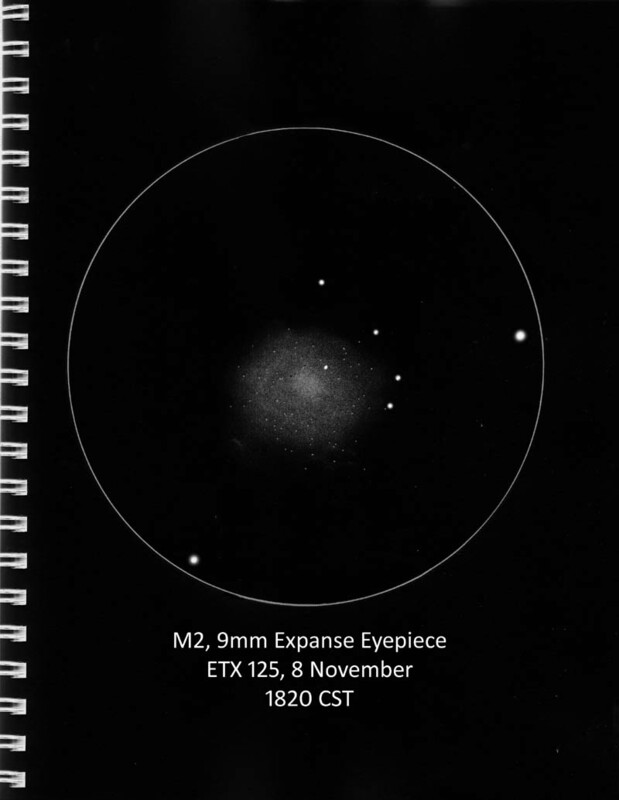 All in all, sounded like it would be a good night to continue The Messier Album Project, my quest to observe all the Ms with the ETX and to compare what I see (and sketch) to what the author of the classic book The Messier Album, John Mallas, observed and drew. What exactly did the dadgum weathermen say? They were hedging their bets: “Mostly to partly cloudy.” The Clear Sky Clock seemed to indicate I might get some time under the stars, maybe as much as several hours. Picked up my 2-meter/440 HT and dialed in the NOAA radio station, but they were as wishy-washy as the Weather Channel. 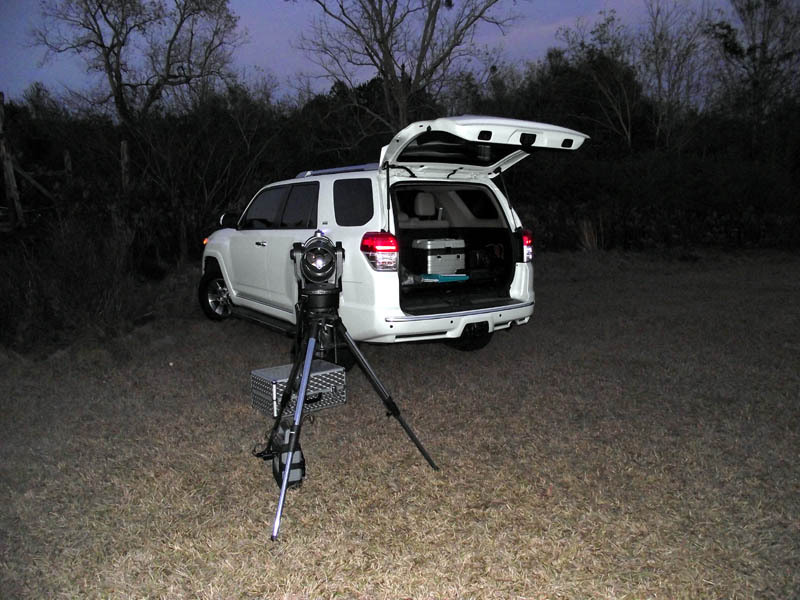 So I stuck to my mantra, “If it ain’t raining head for the dark site,” and ‘round about four I loaded up the 4Runner and made tracks west for our observing field on the edge of a private airstrip that is closed at night. When I arrived after a 45-minute drive exacerbated by the Christmas traffic as I passed Bel Air Mall, I took a good look at the sky. Go-ol-ly! Not bad. Good, even. Some haze, sure, not surprising given the humidity. There were a few bands of passing clouds, but they were mere wisps, not big, dark thunderheads. I began setting up Charity. Which, as usual, was the work of maybe ten minutes. Plop down tripod, adjust it to a reasonable height (a little higher than normal this time since I hadn’t bothered to bring an observing chair along), mount ETX on tripod via two bolts, hook up jumpstart battery and Autostar hand control, and that was it. 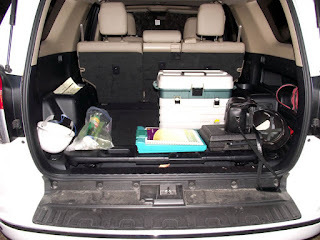 ‘Course, I had to get the eyepiece case, the accessory (tackle) box, and my sketchpad and pencils ready to go. I’ve stopped using an observing table at the club site, and now just put the eyepiece box and everything else in the back of Miss Van Pelt, the 4Runner. In 15-minutes my setup was done. “Done? Unk, you forgot something. Where was your laptop? We know you don’t go onto any observing field without a pea-picking computer!” Right you are, Skeezix. I had a computer—clipped to my belt. As in my iPhone. Since I would “just” be doing the Messier, I wimped out on a laptop. Oh, I’ve set up a Messier Album observing list on SkyTools 3 so I can keep track of where I am with The Album Project, but being especially lazy on this eve, I left that at home. If I needed to know what was up and what would be up? Well, I had my MINI-planner, Observer Pro. This iOS app (I don’t believe it’s been ported to the Android gadgets yet) is just that, a mini-planner. 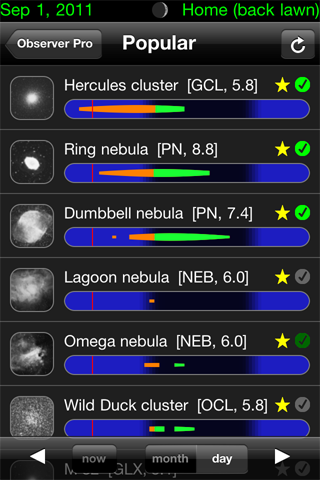 Compared to the humongous SkyTools, anyhow; it certainly has plenty of objects including the NGC, the IC, and the Herschel 400. 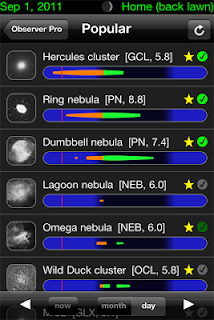 It is easy to compose observing lists with OP, but what I did was just click open the Messier catalog and sort it by Constellation. Each object is accompanied by graphics that show in an instant whether it is visible, a nice photo, the M’s vital stats, and even a good looking (and detailed) finder chart. I hoped I wouldn’t need that last, and I wouldn’t if Charity behaved. Anyhoo, if you have an iPhone or iPad, please have a look at Observer Pro; it is oh-so-cheap and oh-so-useful. It wasn’t quite dark—the bright alignment stars were just winking on—but I powered up Charity for a minute to see if her battery-backed real time clock still had the correct time following a recent battery replacement. It did. Cool. Shut her off and waited for real darkness to arrive. My waiting was done all by myself. Not a single one of my fellow PSASers had shown up. None cared to roll the dice weather-wise, I reckoned. I briefly wondered whether I should re-train Charity’s drives. I did the drive training procedure that informs the Autostar computer about backlash in the telescope’s gears last time, but some people do train their ETXes before every single observing run. I decided “not;” I’ve usually had decent go-to performance for months and months following a single training session. Soon enough it was dark enough to make out alignment stars. Put Charity in her Home Position, tube level and cranked to the hard stop in azimuth, and fired her up. After a minute or three of her northing-leveling dance, she began slewing to the first of two alignment stars, Vega. Centered the star, which was on if not in the center of the red dot finder’s lens when the scope stopped, hit Enter, and she proceeded to star two, which, just like last time, was Altair. Hokay, acid test time. I keyed-in M13. After Charity stopped making the somewhat labored noises she always makes when slewing at high speed, I popped in a 20mm Orion Expanse eyepiece and had a look. CHARITY! YOU MINX! NOT TONIGHT! Yep, when I put peeper to eye lens, not a cotton-picking thing did I see. Rut-roh. At least I didn’t think I saw anything. After a little while I detected a vague brightening in the field. I upped the power and contrast with a 15mm Expanse and had a look. No doubt about it now; there was the Great Glob—barely. 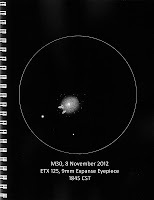 On this late fall evening M13 was so low in the still bright west that it was dang-near invisible. WHEEW! I really hadn’t wanted to fight with my ETX. I didn’t have to. 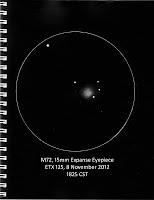 All night long, anything I requested from horizon to horizon and even near the zenith (which can be a tough area for an ETX) was in the field of the 20mm eyepiece (94x), usually in the 15mm (125x), and several times smack in the center of either. If anything, go-to performance was better than it had been last time out, though I’m not sure what I did differently during the alignment, if anything. Go figger. It was a good thing I didn’t have to fool with Charity; I had the feeling there was no time to lose. The Cygnus area, now west of the Meridian, looked terrif with the Milky Way glowing pretty strongly. But there was a feel in the air of impending bad weather. Humidity was high and the dew already overwhelming. I was at least somewhat prepared for that. I need to rig up a heater strip for Missy, but her big Mak corrector does not dew up as easily as an SCT’s lens does, and a dew zapper gun (a 12-volt hair drier/window defroster) is enough for reasonably short observing runs. I could deal with the dew, but I wouldn’t be able to deal with what was lurking in the west. A look over that-a-way showed thick clouds to the southwest that hadn’t been there a few minutes before. Which object first? This would be a night of globular star clusters, three bright ones and one somewhat dicey rascal. 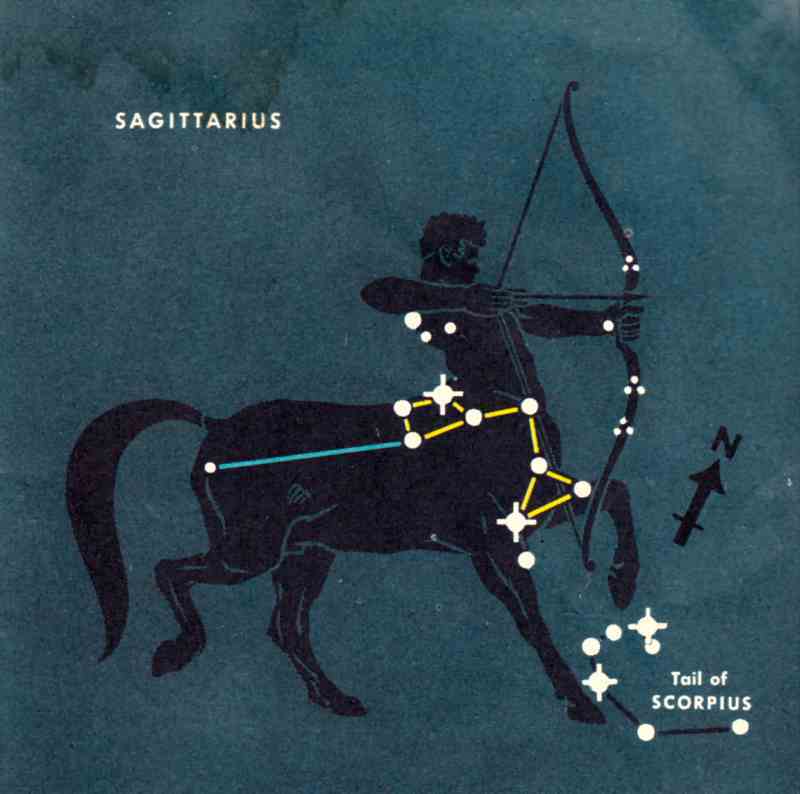 The south, where three of my targets would be found, was covered in a thin but noticeable haze, so numero uno was M15, The Horse’s Nose Cluster in Pegasus, who was barely into the west and nice and high in the sky. As per usual, the matter in italics is transcribed from my (audio) log on my MP3 recorder, and the sketches (click on 'em for larger images) are done in my typical fashion: rough drawing/notes in the field, finished sketch as soon as possible thereafter, tune up in Adobe Photoshop. The dates are for when the objects appeared in the original columns printed in Sky and Telescope (“A Messier Album”). Mashed the buttons for M15 and Charity began slewing for the famous glob. When she stopped and beeped (which means “We’re there!”), I looked into the 20mm and found this superb cluster centered in a fairly rich field. I trotted over to the truck for my 9mm Expanse (208x), which would resolve more cluster stars than the 20mm, and grabbed my MP3 recorder for note taking. That was when I encountered my first glitch of the evening. The Sony recorder showed “battery low” and wouldn’t do a cotton picking thing. I finally located a pair of triple-As hiding in one of my tackle box’s trays and was ready to roll. It's not as dark as it should be, but in the 20mm I can see quite a few miniscule stars popping in and out of view around the cluster's bizarrely bright and near-stellar core. The 9mm Expanse brings out considerably more stars in the outer halo, which looks basically round to me. As I stare and it gets darker, I begin to see some in the inner area just outside the core. It mostly just looks grainy, but some stars do put in an appearance. So, how did my M15 stack up to John Mallas’? He agrees with me on general appearance, mentioning, naturally, the cluster’s “very intense” center. However, he goes on to say M15 was not resolved in his scope. Certainly it wasn’t fully resolved in Charity, either, but some of 15’s stars were easy enough. Mallas' drawing is an outstanding one, but it’s a shame he doesn’t mention the magnification he used. By the look of it, I’d say probably similar to mine, around 200x, give or take. Some stars are shown, but given his words I assume these are field stars. There is no question I saw more in this glob than he did, and I am not quite sure why; his 4-inch Unitron should have at least begun to reveal cluster stars. M15 given as much eyepiece time as I dared in the face of obviously degrading conditions, the next globular was in Aquarius, the marvelous M2, which is usually considerably better than M15—though not on this night. 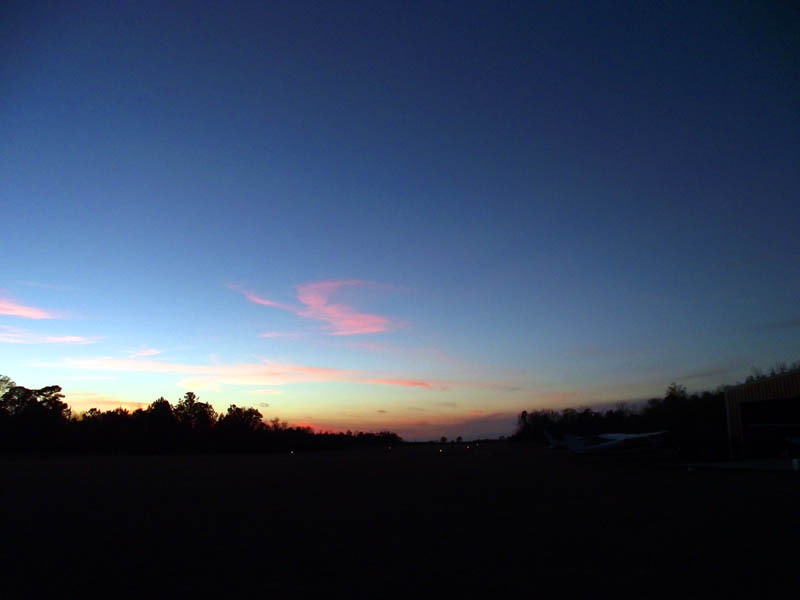 Most of the haze had temporarily drifted off, but the southern sky was still compromised, I suspected. M2 was good but not as good as I’ve seen it from this site with Miss Valentine. M2 was right in the center of the field when Charity stopped, and looks good as always. Not a hint of resolution in the 20mm, though; it's just a large, pretty ball of grainy nebulosity surrounded by a larger, dimmer, slightly oval globe. In the 9mm quite a few stars are revealed in the outer halo, which looks more oval than it did with the 20mm. Still don't see much resolution closer in to the center. I’d say Mr. John and I pretty much tied on M2. 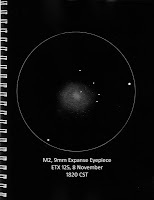 His (nice) sketch is similar to mine with a bright but diffuse core, an extensive outer halo, and tiny stars resolved across M2’s face. Where we differ is that he mentions a “Dark curving lane that crosses the northeast corner of the cluster.” I’ve never noticed such a thing, but I will dang sure look for it next time. I probably didn’t spend as much time on M2 as I should have. I was worried about M72. I recalled how hard a time I had with this one from my bright backyard when I was doing the observing for my book, The Urban Astronomer’s Guide, and how it had stymied me a time or three from considerably darker places. Would I see anything in a sky that was getting to be a humid mess? Not to worry. 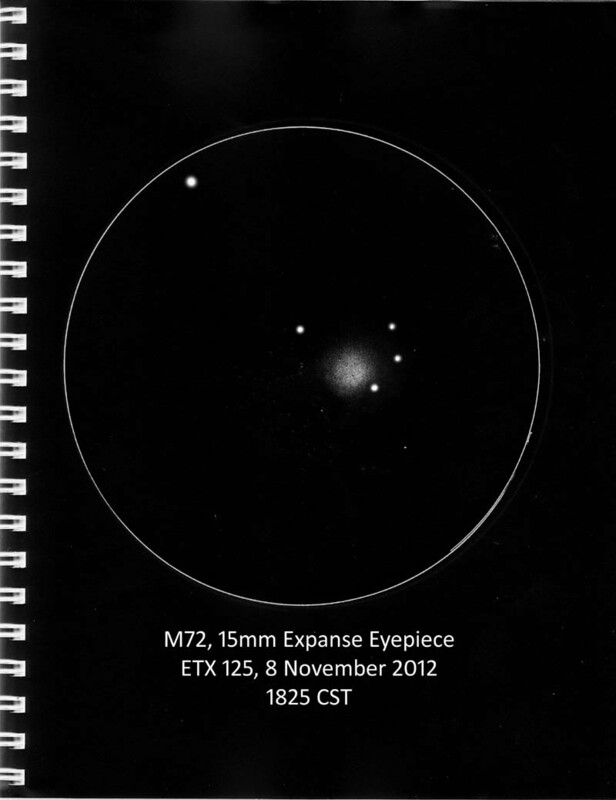 M72 was actually bold—if not resolved—in the 20mm Expanse. 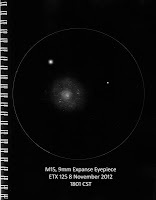 M72 is obvious as soon as I look into the eyepiece. In the 20 it is just a large, round, featureless fuzzball maybe with a hint of graininess. The 9mm doesn't help, serving only to dim the cluster down. The 15mm is better, but I still liked the view best in the 20, where this is a bright ball of mist floating in a fairly rich field. I would say Mr. Mallas pulled even with Unk here. He describes exactly what I saw, a small, nebulous ball. He does seem more impressed by M72's graininess than I was. John also tells us that this looks to him to be a loose cluster. M72 is rated a IX on the Shapley-Sawyer scale and is indeed quite loosely concentrated, just as he guessed. 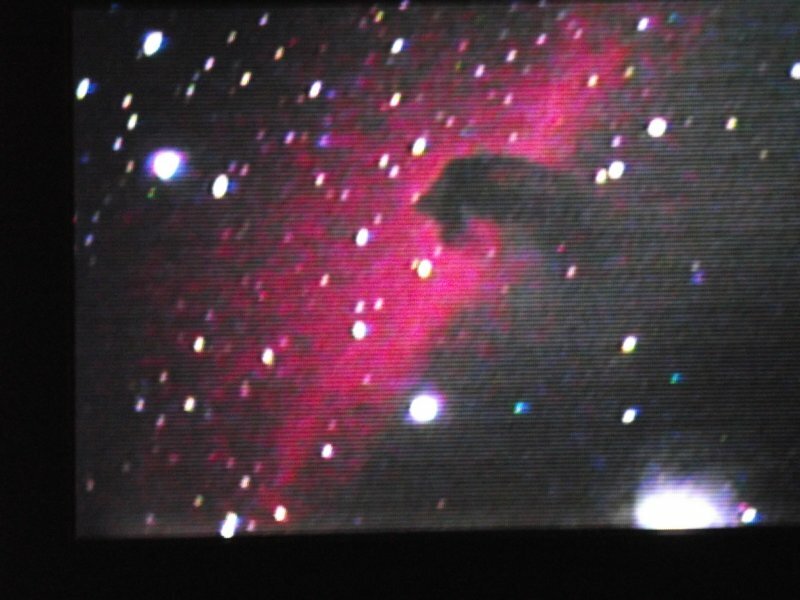 By the time I’d finished inspecting little M72, the clouds weren’t just confining themselves to the west; they were heading straight for Capricornus where my final target of the evening, M30, The Goat Cluster, lives. If I didn’t get M30 this time, I might not get him till next fall, since I figgered the glob would be pretty dadgum low by next month. M30 was a semi if not complete disappointment. Normally, it is one of the oddest looking and most interesting of the Messier globular clusters. There was a hint of that on this evening, but as I stared, the Goat was slowly disappearing in haze that was morphing into clouds. Why have I dubbed this one “The Goat”? It’s not because or just because of its location in The Sea Goat, but due to three “spikes” of stars on its periphery that form “horns.” Funny thing, but I don’t believe I ever noticed them till one evening in the late 80s when I was observing M30 from an absolutely horrendous observing site less than a mile from the mall. Must have been a superior night despite all them parking lot lights. 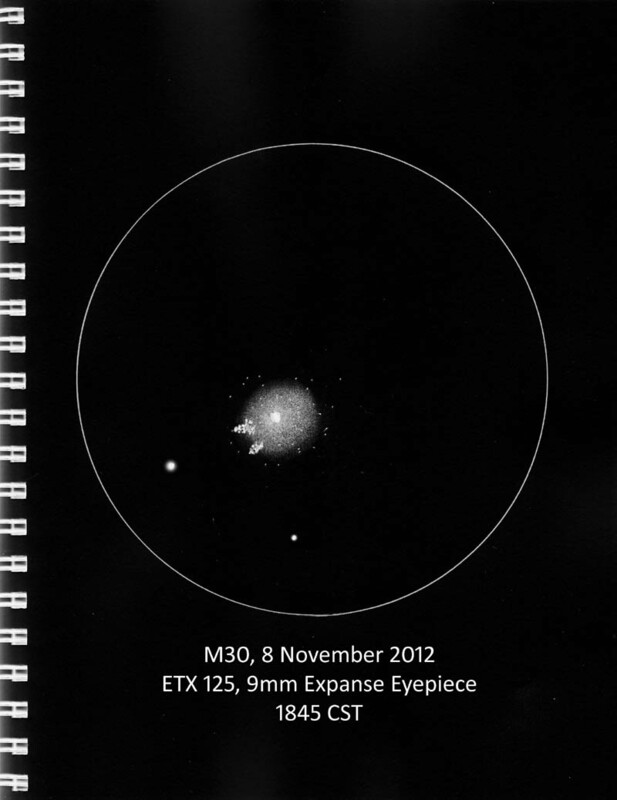 The Goat Cluster, M30, is badly compromised by haze and passing clouds. I do see two of the three "horns" formed by cluster stars. Considerable resolution around an inner core that looks nearly as bright as M15's. Despite his odd drawing that makes M30 look more like an edge-on galaxy than a globular star cluster, Mallas and I saw the same basic things here, with him remarking on the glob’s “quite unusual” appearance. Actually, he saw a wee bit more than I could on this night. It’s clear from his text that he was able to make out all three horns, which he calls “zones” (though the third horn looks misplaced in his rendering), which I couldn’t do and therefore left off my drawing. Sketch complete, I again turned a weather eye to the sky. The south was out of the game and the whole west was going. The north-northeast still looked right nice, though. I’d finished my work for the evening, but I was not close to ready to pull the cursed Big Switch. Hell, it wasn’t even 7 o’clock. What next just for fun? Planets ought to be purty good, or at least not as bad as DSOs in the thickening haze. Old Jupe was surprisingly nice despite conditions that included so-so seeing in addition to worsening transparency. Multiple cloud bands were on display and there was plenty of detail in those bands, with their edges easily seen to be irregular at 200x. Yeah, I know the consarned experts will tell you the ETX 125’s large secondary baffle cuts down on contrast, but Jupiter looked lovely, and I will not hesitate to say the image was as good as I’ve seen in any MCT of comparable aperture under comparable seeing. And—forgive the heresy—better looking than in a Questar 3.5. After Jupe, it was onward and outward to Uranus and Neptune. Neptune was up first, and was a tiny but obviously non-stellar deep blue dot. Uranus, who I customarily observe any time he is in the sky, was a more easily resolved pea-green disk. The planets scoped out and parts of the sky still hanging in there, I took Charity’s “Tonight’s Best” tour just like I had the last time out with my li’l gal. What was cool? Galactic cluster M52 in Cassiopeia, who was still cloud free, looked marvelous, being perfectly framed in the 20mm. Over in Vulpecula, which was beginning to suffer extreme cloud intrusion, M27 was OK with the dumbbell shape easy if not nearly as mind blowing as last time. M57 was better than I expected. The field was filled with slowly dimming but still sparkling little stars. Clicking through the many Autostar picks that were now clouded out, I came to the tail end of the tour and, believe it or not, “extra Solar planets.” Maybe that is not as ridiculous as it sounds, since it is kind of a kick to at least see the stars around which planets have been discovered. But I wasn’t in the mood for that and Moded out of the tour. I took a break then. This would normally have been the time when Unk woulda got spooked: all by meself without anything in the eyepiece to take my mind off Mothman and the Skunk Ape and their good buddies, The Little Gray Dudes from Zeta Reticuli 2. Especially with the eerie-looking fog that was now rolling in. It had been uber foggy that morning, so I was not at all surprised to see it flowing over the field next to the runway. A bad case of the jitters almost got started then, but relented when I heard the friendly sound of voices from a nearby hangar. In little more than ten minutes we were on the road for Chaos Manor South. 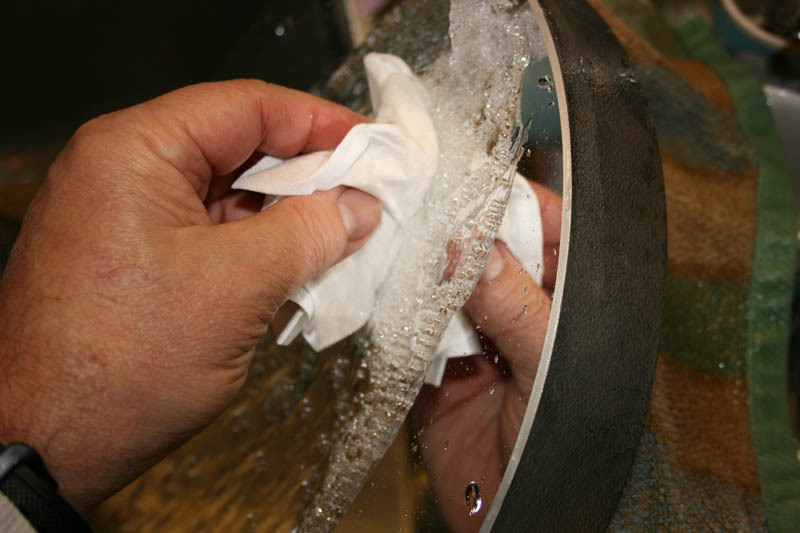 When I arrived and unpacked, I thought I’d better give the ETX’s corrector one last check—you never want to store a scope with a damp corrector. Ever. It was still dry, but Charity had left a surprise for me: her RA lock lever was rattling around in the case. I soon had it back on and tightened down with the aid of the small allen wrench I keep for that purpose, so it was not a big deal, but it was a reminder not to take Missy’s intermittent good humors for granted. Overall, muchachos, I was satisfied with the evening’s labors and positively thrilled by how well my un-mothballed ETX performed. Do I recommend you-all go out and hunt down a used ETX 125? Not necessarily, but you could do worse. As I have said before, shortly after I bought Charity I had a shootout between her and a NexStar 5. Go-to was comparable and Charity’s optics better even than the C5’s renowned set. 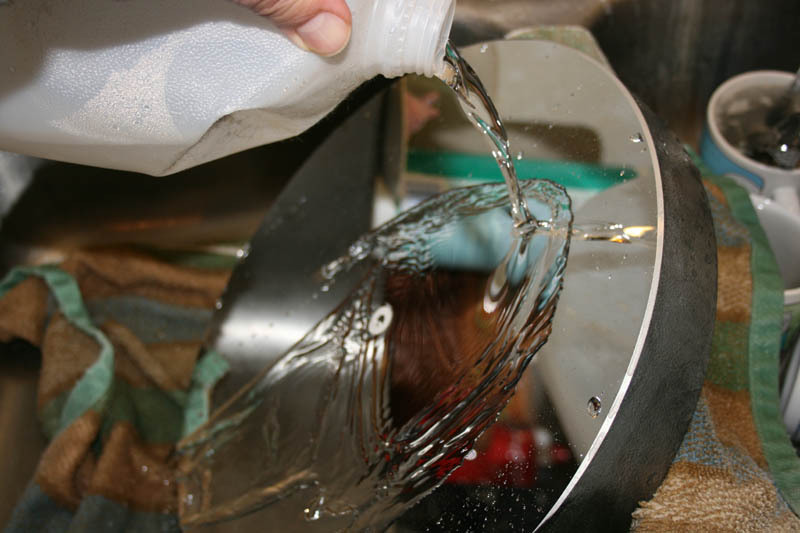 The ETX optics impressed on that night seven years ago and they continue to impress. Next Time: As has been the case for the past several annums, next week’s blog will not appear on Sunday, but on Christmas Eve. It will also likely be a little shorter and more sentimental than usual. See y’all then! One of Unk’s favorite sayings is “change is always for the worse,” but even he will admit that’s not always the case. If you are a faithful reader of The Little Old Blog from Chaos Manor South, you know it’s been a long standing tradition for me and Miss Dorothy to spend the Thanksgiving holiday at the Hotel Monteleone in New Orleans’ French Quarter. We are empty nesters and get to do whatever we want on most holidays. But we decided NOLA was out this year. Why? After so many New Orleans Thanksgivings we’d kinda got in a rut, doing the same, exact same, things year after year. Check in, trot around The Quarter for a while, Supper at Sammy’s on Bourbon Street, a stop at Dedicated to the Preservation of Jazz, etc., etc. All of those are fun things, but we were ready for something different this Thanksgiving, we reckoned. Not only was there now a certain sameness to our trips, Unk was weary of making the drive west to New Orleans, since he’s been commuting over there fairly regularly to see to the LPDs at Avondale Shipyard. One night over supper we were discussing this very thing and Unk blurted, “How about Huntsville? 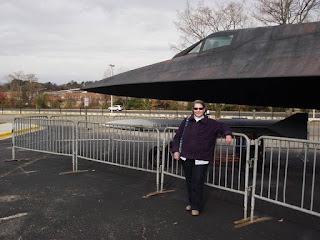 I know we went to the Space and Rocket Center this past April, but there are always new movies in the IMAX, and I bet there’s a new traveling exhibit, too.” Miss D. did a little research on the Internet and was soon sold on the idea. 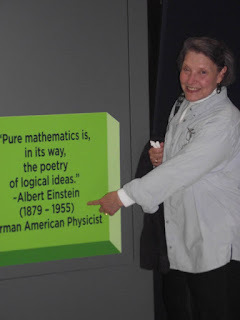 Not only were there fresh movies, the current traveling exhibit at the Center was “MathAlive!” Dorothy allowed as how the combo of space and math just had to be a winner. Ironically, Unk wound up in New Orleans anyway, spending the first three days of Thanksgiving week there working on LPD 25. By the time I was back in Possum Swamp Wednesday afternoon, I was most assuredly not in the mood to drive back over to Louisiana again. I love the city, but enough is sometimes too much, as you’ve heard me say before. Anyhoo, packed up early but not too early Thanksgiving a.m. and headed north on I-65 to Huntsville, a.k.a. “Rocket City.” Traffic was light on the holiday’s morn, and the boring drive up to Montgomery wasn’t too bad. At the end of that stretch we made our traditional stop at the Stuckey’s just outside the city. It was a little too late for my beloved fried chicken biscuit or breakfast of any kind, so Unk and Miss D. settled for chili cheese dogs, which were disgustingly delicious. We did note “our” Stuckey’s appears to have fallen on ever harder times. It’s looked depressed for at least the last five years or so, and even though they were doing a brisk business on this Thanksgiving afternoon, there was an air of gloom and doom. Stuckey’s is a little more “normal” these days, with the gee-gaws on sale more like what you’d find in any Stuckey’s than the very strange hyper-religious knick-knacks that dominated for a while. Nevertheless, it’s obvious all is not well. 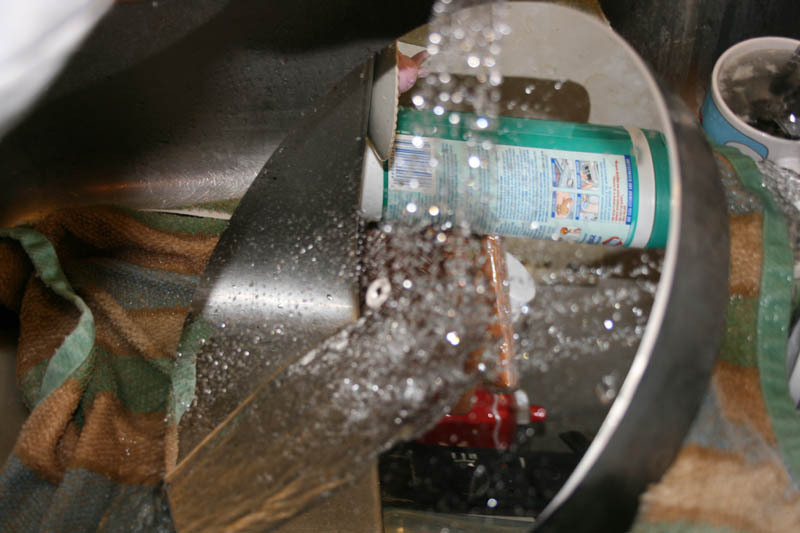 Restrooms were nasty and, hard as it is to believe, there were no Goo-Goo Clusters, Stuckey’s signature candy. When we paid for our selections, a little junk food for the motel room, the cashier didn’t have any bags to put our stuff in. If this continues, I expect them to be gone soon, and our Montgomery stop will have to become Priester’s Pecans or Bates’ House of Turkey. No Stuckey’s? Dagnab it! Anyways, the second half of the trip, from Montgomery to Huntsville, felt a lot quicker than the first half, as it usually does. 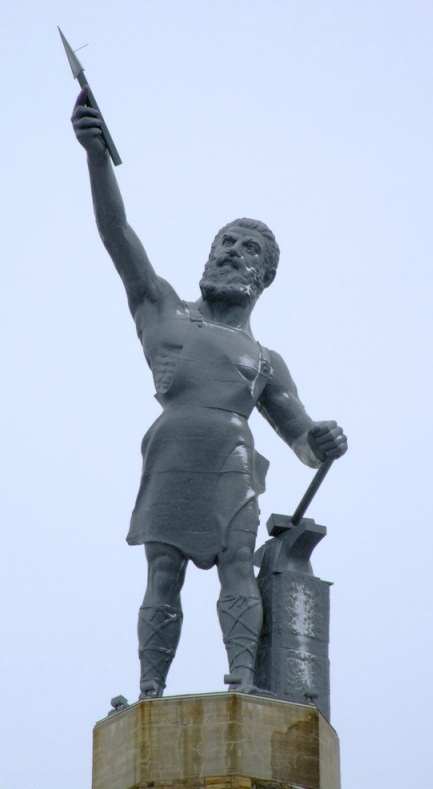 In just a little while, it seemed, we were waving bye-bye to Vulcan’s statue and closing in on Rocket City. We’ve been to Huntsville often enough that I suppose we could have found our way without help, but Unk’s Tom-Tom GPS got us to the motel with a little less fuss. The GPS did do a good job getting us where we wanted to go, but the whole time we were in Huntsville “Samantha” displayed an odd penchant for telling us to make U-turns. Modern technology, I reckon. Go figure. After a not-too-bad but hardly stellar experience at the La Quinta last time, we were determined to find a better motel near the Space Center. That “better” was the Best Western just off University Drive, one of Rocket City’s main drags. It was new and looked decidedly upscale compared to the poor La-Q. 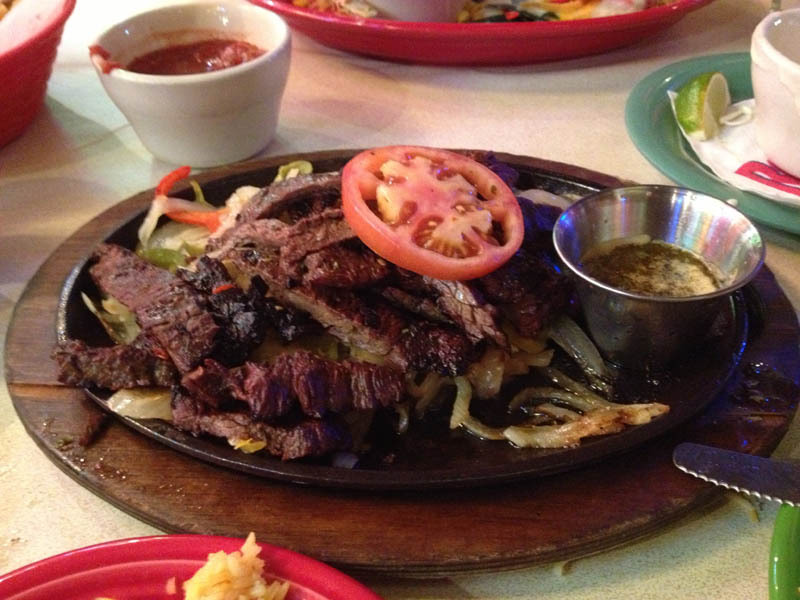 Plus, it was located just behind one of Unk’s favorite Mexican restaurants in the whole world, Rosie’s Mexican Cantina, which would be within easy walking distance. When we unpacked in our room, it was obvious we’d made the right choice: spacious, clean, and new with a great big flat-screen television set. The chili dogs had been good, but we wanted something a little more substantial to serve as our Thanksgiving repast. So, we hopped into the 4Runner, Miss Van Pelt, at 4 p.m. and went in search of a restaurant, any restaurant, that might be open on a Thanksgiving evening. We could see Rosie’s was locked up tighter than a drum. So was the Logan’s steakhouse next door. We were just about to give up and settle for the pea-picking IHOP when we noticed there were cars outside the Buffalo Wild Wings at Madison Square Mall. Buffalo Wild Wings for Thanksgiving? Why not? Had to be better than IHOP, which holds a distant third place in Unk’s breakfast joint pantheon well behind Waffle House and Huddle House. B-Dubs was a good choice. The staff was friendly and soon had Unk set up with a giant brewski and D. with a big glass of wine. Miss Dorothy did cause considerable confusion among the young staff with her request for Pinot Grigio, but they eventually figured out what the heck that was. Unk had the boneless wings (wild sauce), and Dorothy had a flatbread sort of pizza that was really good—she let me have a bite or two. All in all, we had a super suppertime. It was perhaps our most memorable if most humble Thanksgiving dinner in a long time. Back in our room after spending quite some time at the wings joint, where we watched the Redskins rub the Cowboys’ noses in it, Unk was fairly tuckered. Did need an hour or three of TV to relax by, though. Lot of holiday stuff and the windups of football games, but nothing that caught my eye. 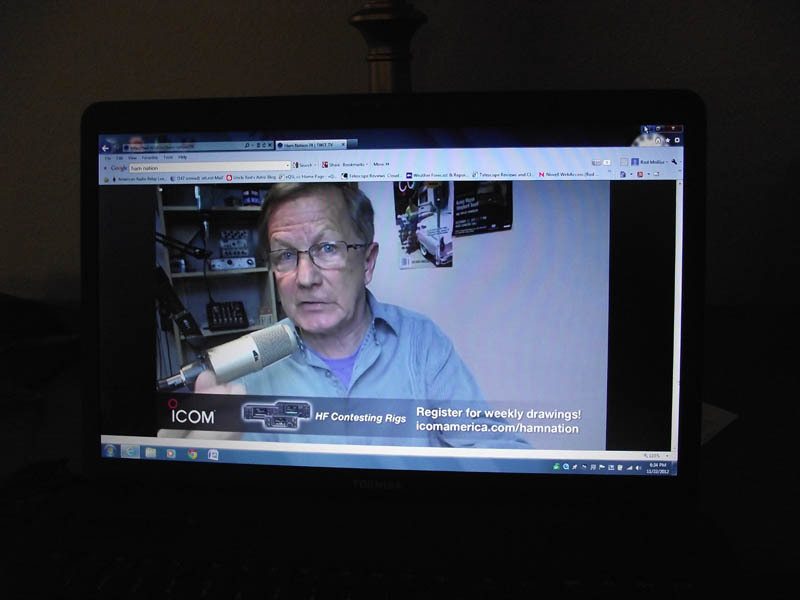 So…fired up the laptop and had a look at the latest episode of Ham Nation. 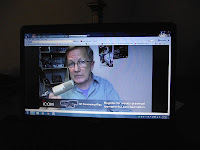 If you are an amateur radio operator and have not seen Bob Heil’s and Gordon “Gordo” West’s excellent little TV show, I insist you take a look at it. There needs to be an amateur astronomy television show exactly like Ham Nation! Eventually, Unk dropped off into dreamland, and despite having consumed an almost unseemly number of fiery chicken wings and Kolorado Kool Aids, he slept soundly and knew nothing more till the next morning. After a surprisingly lavish motel breakfast, me and Miss D. headed for The U.S. Space and Rocket Center at about 9 in the a.m. Walking past the grave of brave space-monkey Miss Baker, Dorothy and I had a good look at the pretty old SR-71 who is living out her golden years parked in front of the Center where she is visible from the Interstate. It’s mostly space at the Space and Rocket Center, but there are some wonderful aviation artifacts, too (they run an “Aviation Challenge” camp in addition to Space Camp). Got a nice picture of Miss Dorothy posed with Miss Blackbird, and we headed in. We ignored the enormous gift shop for the moment—you are darn tootin’ we’d buy space stuff, but we save that for last—and headed for the ticket counter where Dorothy took care of our admission and movie tickets. While Space Junk was playing in the IMAX, we opted for something a little different this time, Air Racers, which would be in the 3D theatre in The Davidson Center for Space Exploration (the rocket hall). While D. was getting us set up for that, Unk, as always, spent a little time communing with and contemplating the huge bust of Dr. Wernher Von Braun, one of the truly great men of the Twentieth Century. He was a human and flawed like all of us, but he had one thing that’s rare today: a clear vision of the future. In the museum, we noted that at least some of the Von Braun exhibits from the Center’s celebration of his centennial last spring were still on display, and that was a good thing. Unk particularly enjoyed the images of the great man’s space wheel. I’ve been fascinated by this still-futuristic space station since I was a tiny little grasshopper. The first time I saw a picture of it, I thought it was a flying saucer like the ones that were currently annoying the denizens of 1950s drive-in movie theaters and lovers’ lanes. I learned the even more intriguing truth of what it was when Man in Space ran on the old Disneyland TV show. Actually, I probably saw a rerun of it, since on its original air date, March 1955, even old Unk would have been too young to grok space stations. 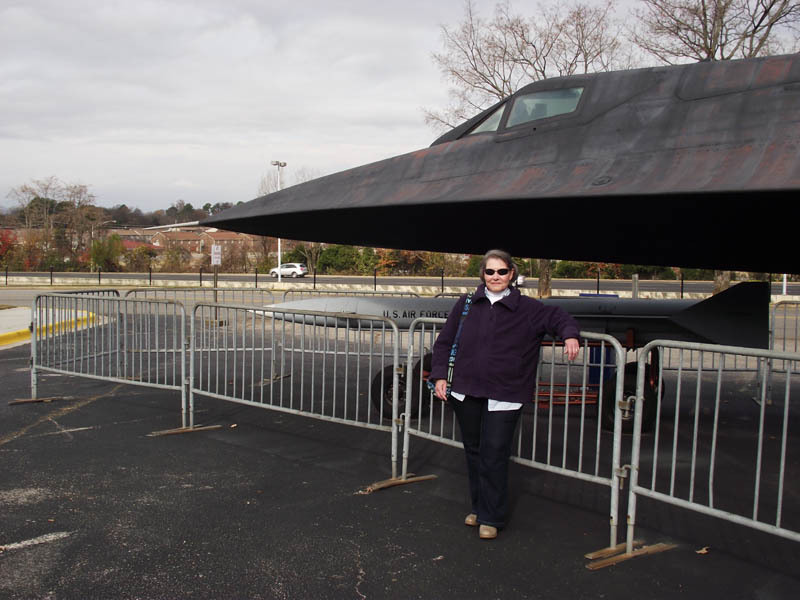 The hit of the trip, though, especially for Miss D., was the traveling exhibit, Raytheon’s “Math Alive.” While it was aimed at the young set, the interactive exhibits were enjoyable for and being enjoyed by their parents and by us. What I particularly liked was a rather elaborate station that allowed us to stack images from the Hubble Space Telescope, and explained the mathematics behind the noise reduction that ensued. Now, benighted old Unk has at least an idea how Deep Sky Stacker and Nebulosity really work. Wandering on, we took a stroll through the army’s permanent exhibit (Redstone Arsenal is, of course, a U.S. Army facility), which deals with the future battlefield and with missile defense concepts. While nothing much had changed here, it is so jam-packed with stuff that I always notice something new and cool. Which brought us to the vaunted Rocket Park. I have somewhat mixed emotions about the Center’s back 40, which is filled with historic missiles and spacecraft; everything from Jupiter Cs and Atlases to an honest-to-god Saturn IVB. Miss Dorothy and I love strolling along, the missiles looming above us like a forest of great trees, but I can’t help but feel that at least some of them deserve better. Out here, exposed to the heat and rain of Alabama summers and relatively cold northern Alabama winters, these wonderful old machines age quickly. The Center’s Saturn V, which is now proudly on display in the Davidson Center, was in the park for the longest time, and her stay there probably at least doubled the amount of restoration required. Ah, well. We enjoyed ourselves despite the slightly chilly, gray day. Faves? For me they are always the venerable Atlas F ICBM, the mockup of a never flown nor built original Lunar Rover that was more like a laboratory on wheels than a go-kart, and the wonderful Army air defense missiles. I am glad these have been preserved for now—they are true historic treasures. Included is the exoatmospheric interceptor from the old Safeguard ABM system, Spartan, which will catch the eye of those of y’all old enough to remember the Army’s forward-looking but ill-fated anti-missile-missile system. Of particular note at the moment is the Skylab hardware at the far end of the park. In part, it is obviously a mock-up—there is a faux Apollo CM “docked” with the station. But the larger part of the thing appears to be real, as in an engineering development model at least. The Center is collecting money in a campaign to restore America’s first space station, and good on ‘em. Skylab deserves to be spiffed up and moved to a good home indoors. Stingy old Unk actually contributed a few dollars to the effort. One thing has not changed in the Davidson Center: the massive Saturn V looms above you as a mighty presence from the moment you enter. This is the star of The U.S. Space and Rocket Center as far as I’m concerned, but in keeping with the new spirit of advance and enthusiasm I sense here, there is plenty of other stuff on the floor of this huge hall, and it get changed out purty frequently. New this time was a swing arm from the Saturn’s Launch Umbilical Tower, and a full size model of the new Orion capsule. 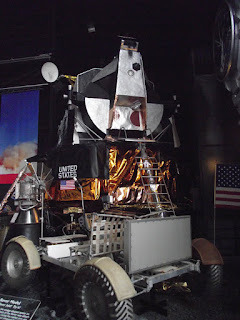 Most of my attention this time was devoted to looking at and photographing the beautiful Lunar Module at the far end of the hall. I paid close attention, since I am about to begin a new LM model kit. I still like the one I did several years ago—I liked it well enough to enter it in a recent model show/competition—but I believe I can do better now. I was not ashamed to enter my LM, but it was just not quite good enough to win any awards. NEXT YEAR! When Unk had finished photographing the ungainly Lunar spider, it was getting on to lunch time, and we decided to head back to the Center’s restaurant while we still had time for a leisurely bite before the movie. I was somewhat amused to see the fast food chow hall has changed its name once again. 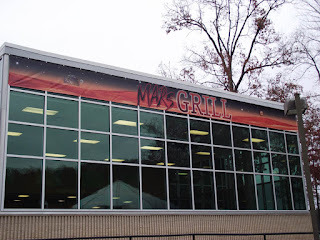 Now it is The Mars Grill. 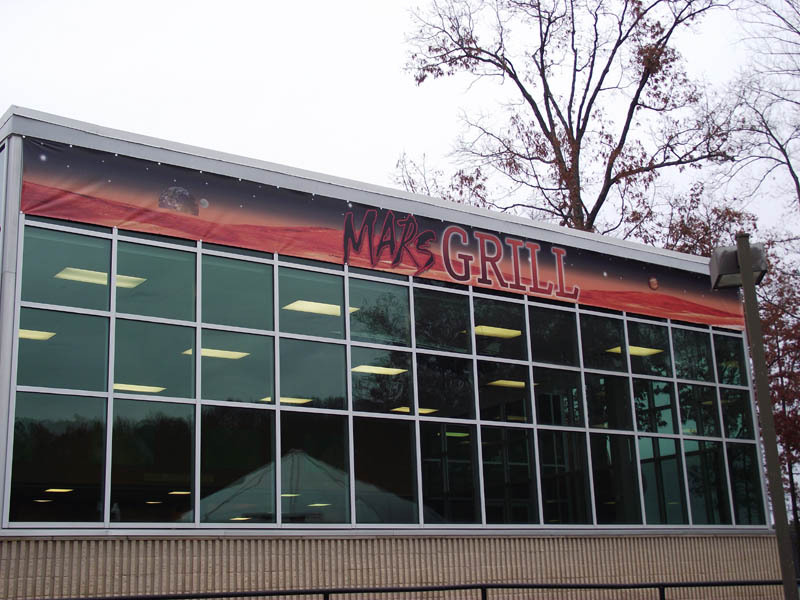 Last time it was The Rocket City Grill. Before that it was The Lunch Pad. What next? “Galileo’s Greasy Spoon”? Honestly, the food is surprisingly good. Better than Stuckey’s, that’s for dern sure. The meal I ordered, “The Red Planet,” consisted of an amazingly tasty barbeque pork sandwich, slaw, and fries. Thus fortified, it was back over to the rocket hall for our movie. 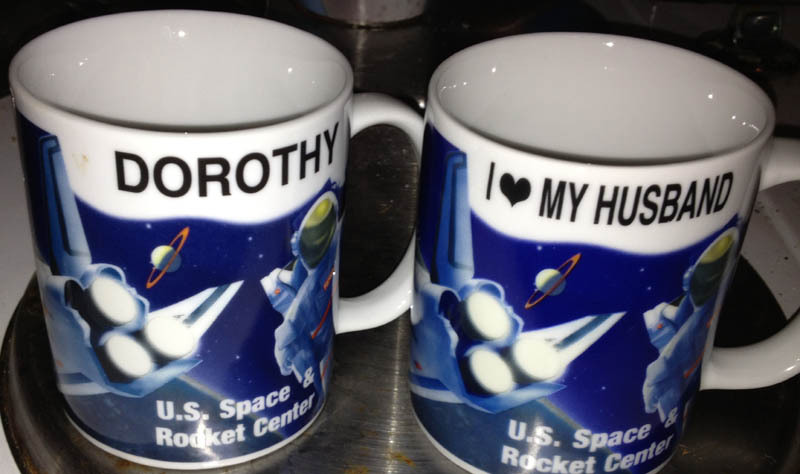 When Dorothy picked the film after at look at the Center’s website, she had said she just knew we would like it. I wasn’t so sure: an airplane movie at the Space Center (conveniently forgetting we saw one of the Harry Potter films in the IMAX one year)? Turned out your old Uncle was—for once—wrong, wrong, wrong. This short movie tells the amazing story of the Reno National Championship Air Races and the beautiful old WWII war birds that compete in them. My only complaint? I wish they’d shown Air Racers in the IMAX Theater instead of the smaller Davidson 3D Theatre. And that, muchachos, was that. Fun is fun, but done is done. Except for BUYING STUFF, that is. On our way out we naturally stopped off in the gift shop for quite a while. Our purchasing was fairly modest this time, since we’d gone hog-wild last spring. Couple of toys for the grandkids, a key-ring and a NASA calendar for Unk. The wonderful Miss Dorothy got me the perfect coffee cup, which made up for me not getting one last time—seems as “R-o-d” is not a popular enough name to go on personalized cups. Dorothy found one this time that was mucho bettero than e’en a Rod mug would have been. Before we head for the 4Runner, I maybe ought to mention The Space and Rocket Center is holding far more special events than they used to. Yes, they still have Space Camp and Aviation Challenge for both little folk and adults, but there is more than that going on. While we were there they were preparing for their annual Christmas Celebration with Santa in Space. And this week they will be hosting the Apollo 17 Fortieth Anniversary Celebration. In addition to other cool things, attendees will get to have dinner with Apollo 17 scientist-astronaut Harrison Schmidt. Wish I could be there. The denouement of our wonderful Thanksgiving adventure was that we hopped in Miss Van Pelt and motored back to the motel for an hour or three of rest before supper. That supper was indeed a splendid one at Rosie’s. Since we could walk from the motel to the restaurant—less than 100 meters away—Unk felt free to embrace as many draft Dos Equis beers as he wanted. Those merely complemented the enormous spread of fajitas that hit the table just a few minutes after we ordered. Even Unk could not finish it all, though he did manage to make at least a noticeable dent in the beef fajitas, Mexican rice, huge mounds of sour cream and guacamole, beans, and uber fresh lettuce and tomato. Back in the motel, Unk paid for all that spicy food (onto which he’d slathered huge dollops of the deadly El Yucatano hot sauce), so I sat up for quite a while surfing the dadgum Cloudy Nights bulletin boards and the cable TV. In his condition, buoyed by all that grub and beer, it almost seemed possible to Unk that the silly hunters of Finding Bigfoot might see something stranger than a passing possum. Naturally they didn’t, and I eventually drifted off into dreams of mighty space wheels spinning in star-spangled night. Want to see lots more pix of Unk and Miss D's trip? I've posted an album on Facebook. Not a Friend of Unk? Just ask; I have, like George Takei, never turned down a Friend Request. Just as I was finishing the blog, I received word that Sir Patrick Moore had died. I will have some more to say later, but for now I will just say that I am in mourning. If not for Patrick, I would not have found my way into astronomy. He was an inspiration to me from the day I picked up one of his books in my elementary school's library, and though I was never able to meet him in person, I consider him my mentor. We are all mortal and Patrick was very old and I knew he'd be taken from us someday. But I never wanted that "someday" to become "today."